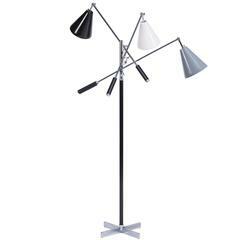 Quintessentail Italian triennale floor lamp with three adjustable arms and white painted shades additionally accented with top stitched leather details and a white marble base. H 69.5&quot; in. x Dm 12&quot; in. 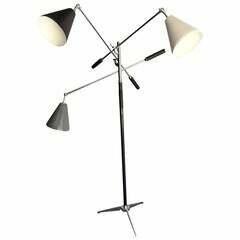 Beautiful, rare Castiglioni floor lamp. 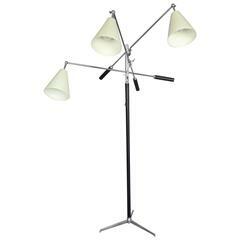 Spun fiberglass "shade" with a chrome base and floor controls. 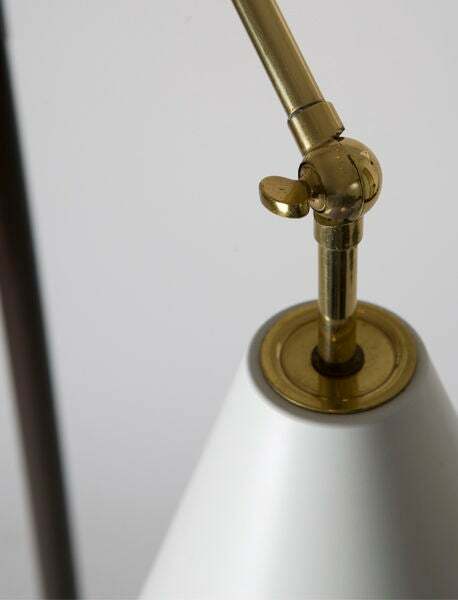 Some minor foxing to the base of the lamp that is consistent with age. 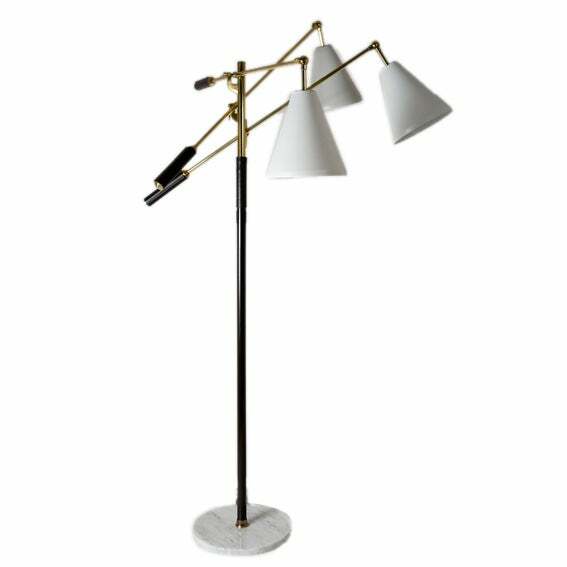 Beautiful brass and black painted metal Art Deco floor lamp with great patination to brass head and trim. 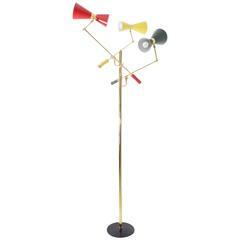 One bulb. Base measures 10". 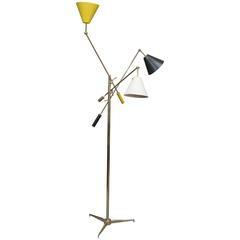 Interesting Italian three-armed Trienniale floor lamp with multicolored shades, leather details on standard and handles, on a rarer cruciform base. 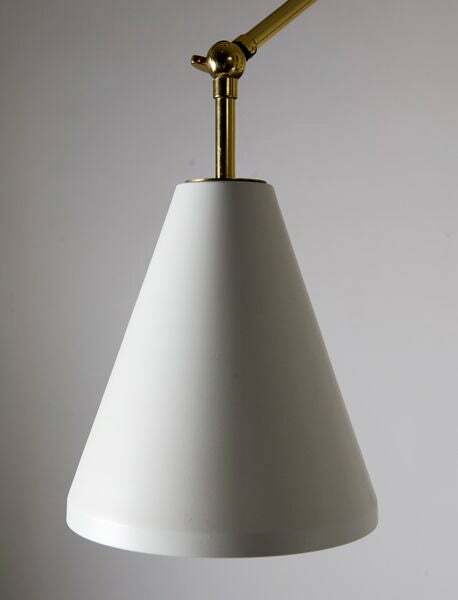 Stamped &quot;Made in Italy&quot;. 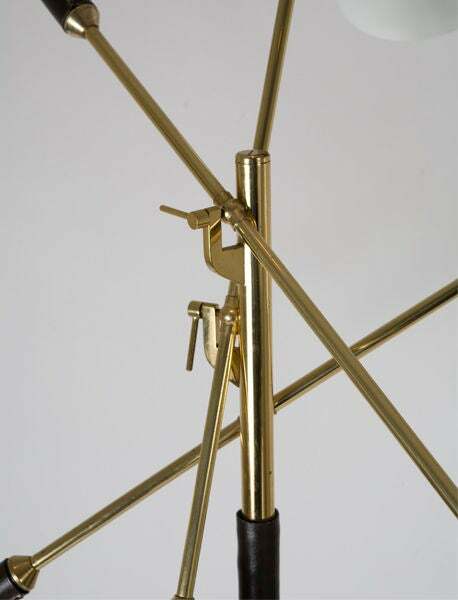 Beautiful rare version of the Triennale floor lamp by Arredoluce in brass with brown pigskin handles. 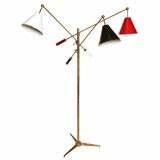 Original white, brown and black enameled metal shades.